Scientists in Germany have discovered that beyond echolocation, the Guiana dolphin also has the capacity to sense electrical fields of short-distance prey. The electro-sensory structures are located in pits in the upper jaw. Such pits have been found in fish and amphibians, but dolphins are the first true mammalian example. What’s more, scientists believe we can someday evolve this sense, too! 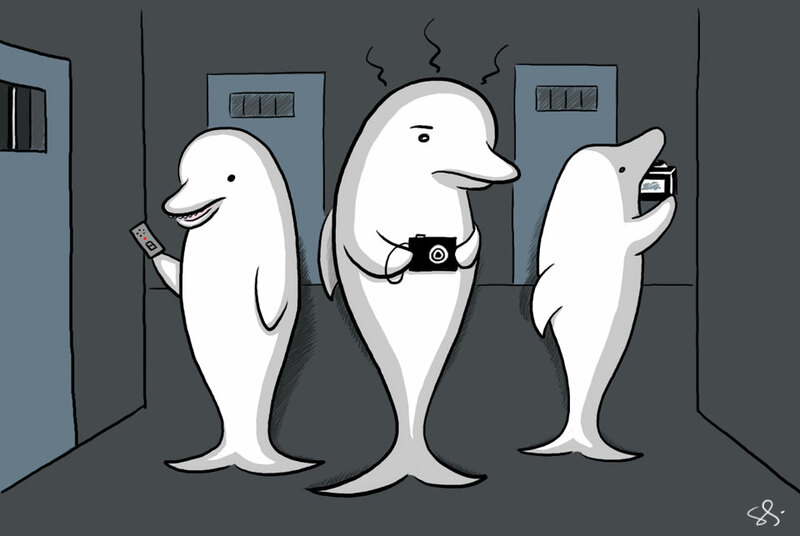 But until that day, I hope you’re thinking what I’m thinking: GHOST-HUNTING DOLPHINS. Join us next week when we go back to the graveyard! That is such an awesome idea it blows my mind. Ok, as much as I love Wighthouse… I think it’s time to scrap it and start up LASH: Land and Aquatic Spirit Hunters.